Keynote speaker Ace Atkins, multi-award winning, New York Times bestselling author of twenty-one novels, addresses an audience of writers and fans at the 5th Annual Mystery Fest Key West on Saturday. The internationally renowned spinner of mystery and suspense described today’s detective stories as tales of “the great American hero,” —comparing them to classic cowboy stories of the gunslinger who comes to save the town, updated for contemporary life. 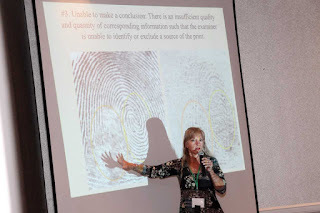 New York Times bestselling author Lisa Black, also a real-life forensic scientist, taught a workshop titled “The Forensic Use of Fingerprints” at the 5th Annual Mystery Fest Key West, which took place June 22-24 at the DoubleTree by Hilton Grand Key Resort and other landmark Key West locations, and included a variety of workshops, panels, presentations, and social events for published writers, aspiring authors and fans. 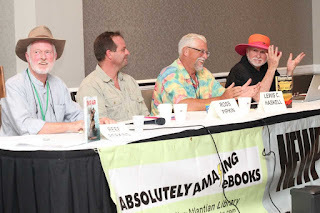 From left, Reef Perkins, Ross Pipkin, and Lewis Haskell react to an observation made by Shirrel Rhoades, far right, in character as his writing alter-ego, Marjory Sorrel Rockwell, during a Mystery Fest Key West panel discussion on audio books Saturday. The annual celebration of sleuthing, which ran Friday through Sunday, featured a killer hit-list of bestselling and award winning writers and included a variety of workshops, panels, presentations and social events at the DoubleTree by Hilton Grand Key Resort and other landmark Key West locations. Monroe County Sheriff's Office Crisis Negotiation Team Leader David Stark presented a workshop titled, "Crisis Negotiation,” at the 5th Annual Mystery Fest Key West on Friday, June 22 at the DoubleTree by Hilton Grand Key Resort. The annual celebration of sleuthing ran through Sunday and included a variety of workshops, panels, presentations and social events. Mystery Fest Key West co-founder Shirrel Rhoades, far right, swaps tales with featured guests editor/publisher Otto Penzler left, and New York Times bestselling author Ace Atkins, on Friday night at a reception following the first day of Fest panels and presentations. 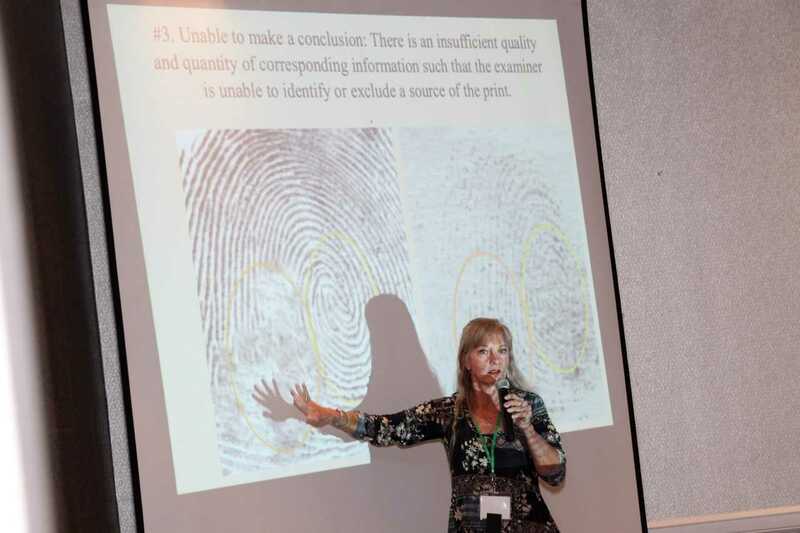 The annual celebration of sleuthing ran through Sunday and included a variety of workshops, panels, presentations and social events at the DoubleTree by Hilton Grand Key Resort and other landmark Key West locations. 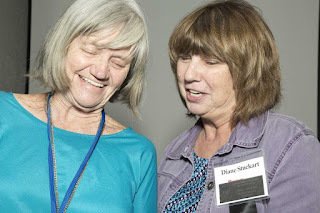 Key West-based journalist Wendy Tucker, left, and New York Times bestselling author Diane A.S. Stuckart get acquainted at Mystery Fest Key West Saturday upon announcement that Tucker has won a walk-on role in Stuckart’s forthcoming Tarot Cats mystery novel. 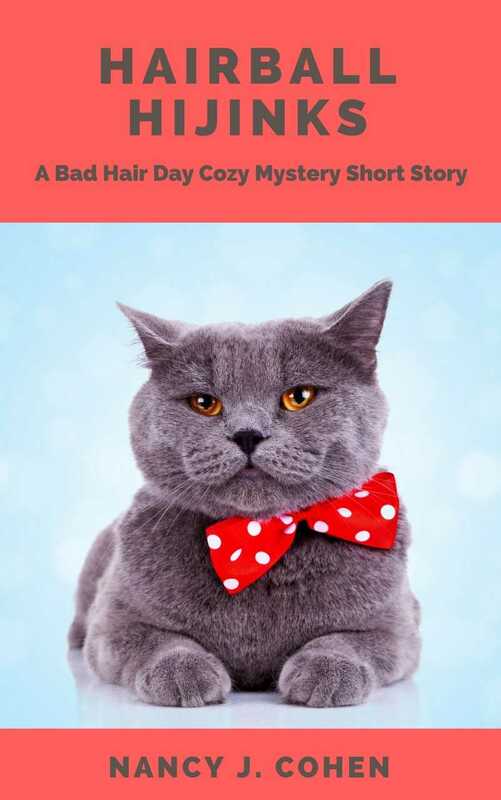 The novel-ty is that Tucker can choose not only whether she prefers to be a “good guy” or “bad guy,” she can also choose to be a human, cat, dog, or other creature of the animal kingdom. Writer’s Block Bookstore, in partnership with Quantum Leap Winery, is delighted to announce oenologist and MIT Journalism Fellow Kevin Begos as part of our Wine ◊ Wisdom ◊ Words series. 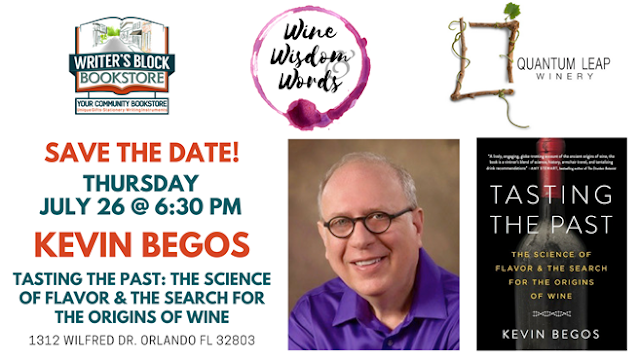 Join us on Thursday, July 26th at 6:30PM for a discussion, Q&A and Kevin will sign his book as we dive into the history, flavors, and origins of wine. About the book: Discover the hidden life of wine with journalist Kevin Begos as he embarks on a ten-year journey to seek the origins of wine. He unearths a whole world of forgotten grapes, each with distinctive tastes and aromas, as well as the archaeologists, geneticists, chemists—even a paleobotanist—who are deciphering wine down to molecules of flavor. Begos offers readers drinking suggestions that go far beyond the endless bottles of Chardonnay and Merlot found in most stores and restaurants. In this viticultural detective story, wine geeks and history lovers alike will discover new tastes and flavors to savor. About the author: Kevin Begos is a former MIT Knight Science Journalism Fellow whose stories and research have appeared in major newspapers and other publications, including Scientific American, Harper's, Salon, the Christian Science Monitor, USA Today, and The New York Times. He reviews books for the Associated Press and is a former AP correspondent. About the Wine ◊ Wisdom ◊ Words series: Writer’s Block Bookstore, in partnership with Quantum Leap Winery, brings you a new speaker series highlighting bestselling authors paired with unique, sustainable wines. Our summer season features literary luminaries from June to August. Authors for Authors will host a book fair at the West Melbourne Library on Saturday, July 28, 2018, from 1:00 PM to 3:00 PM. The West Melbourne Library is located at 2755 Wingate Blvd, West Melbourne, FL 32904. The theme of the book fair is Red, White, and Blue Books for You! The book fair is free and open to the public. Readers are urged to come and meet local authors who will autograph and discuss their books. Children's book authors will have activities that tie into their stories and encourage reading. Writer’s Block Bookstore is delighted to partner with Quantum Leap Winery to throw a party on Wednesday, June 27th at 6:30PM. 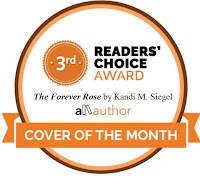 The entry fee of $5.00 comes with a glass of wine and a free ARC, or advanced reader copy! All subsequent glasses of wine are bar price, and each glass is accompanied by another ARC. Come pick up your new fall favorites—and get the inside scoop on upcoming bestsellers, hot titles, and indie books! Click here to RSVP at www.quantumleapwinery.com/wine-wisdom-words-june-27.html. What is an ARC? An advanced reader copy is an uncorrected proof of a new book given to certain people before publication. 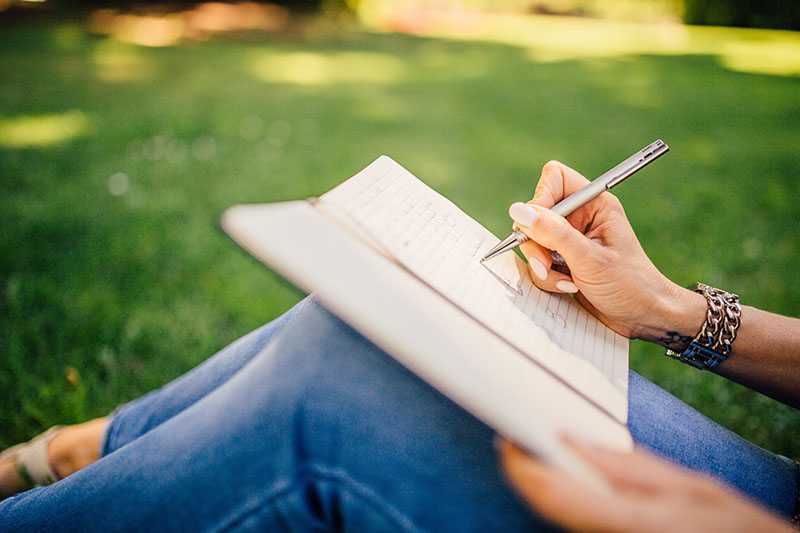 Writer's Block Bookstore receives ARCs from major publishers like Penguin Random House, Simon & Schuster, and Harper Collins, and we want to share them with you. About the Wine ◊ Wisdom ◊ Words series: Writer’s Block Bookstore, in partnership with Quantum Leap Winery, brings you a new speaker series highlighting bestselling authors paired with unique, sustainable wines. 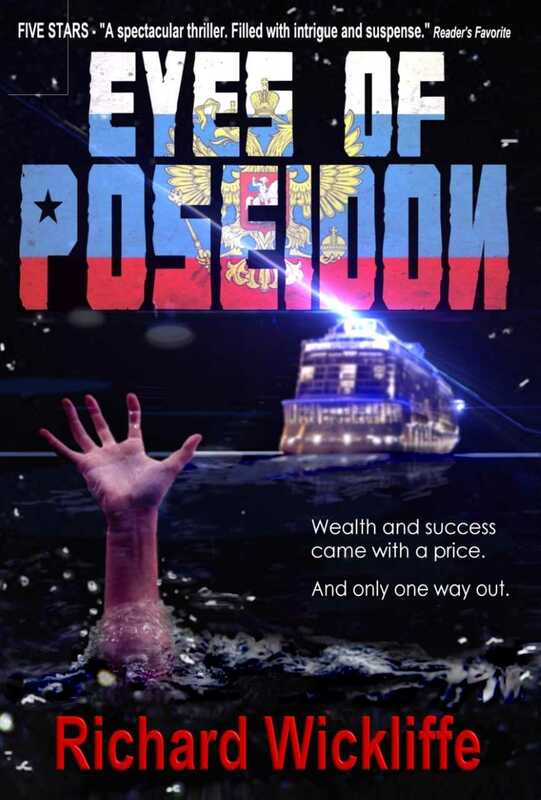 Speaker: Richard Wickliffe was awarded gold for Best Popular Fiction at the Florida Book Awards for his last thriller Storm Crashers, which was previously optioned by Twentieth Century Fox. “Rich” enjoys speaking about creative crimes including the FBI's InfraGard Counterterrorism seminars and conferences in Vegas committed to accuracy in crime writing. He is the recipient of the FBI's Exceptional Service in the Public Interest Award. How does one negotiate a hostage situation? What’s the key to writing compelling historic characters? What’s the perfect poison? 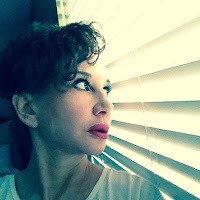 Writers and fans of all genres can get the inside scoop on these questions and more at the 5th annual Mystery Fest Key West, running Friday, June 22, through Sunday, June 24 at the DoubleTree by Hilton Grand Key Resort, 3990 S. Roosevelt Blvd., in Key West, Florida. 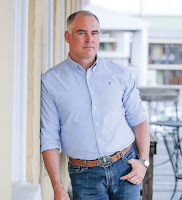 The 2018 “Mystery & Intrigue in Paradise” themed weekend features Keynote Speaker Ace Atkins, New York Times bestselling author of 21 novels; Special Guest of Honor Otto Penzler, publisher, editor and proprietor of the famed The Mysterious Bookshop in New York City; and Special Guest Presenter Heather Graham, New York Times and USA Today bestselling author, with more than seventy-five million books in print, published in more than twenty languages. Events kick off Friday afternoon with four back-to-back workshops: The Business of Being an Author, presented by Debbie Richardson, proprietor of Deborah Richardson Editing & Marketing Services, with author/publisher Shirrel Rhoades; The Forensic Use of Fingerprints, presented by New York Times bestselling author and forensic scientist Lisa Black; How to Write and Sell a First Novel, presented by literary agent Dianna Collier; and Crisis Negotiation, presented by David J. Stark, Crisis Negotiation Team Leader, Monroe County Sheriff’s Department. Friday evening, authors and guests can enjoy a poolside reception with island hors d’oeuvres and live music at the DoubleTree by Hilton Grand Key Resort. 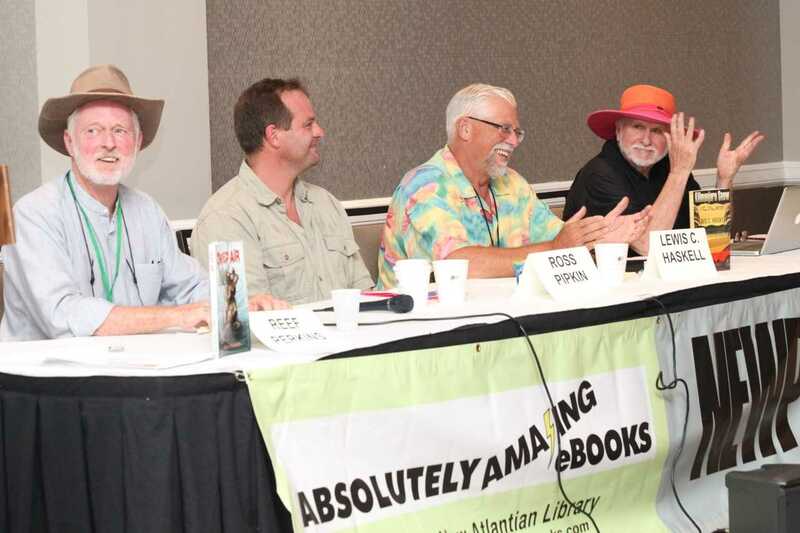 Saturday’s series of panels spotlights leading authors and experts representing a variety of mystery genres including, action/adventure, “cozy” mysteries, forensic, supernatural, noir and police procedural. They include, The State of the Publishing Industry, with Patrick Kendrick, Alyssa Maxwell, Dianna Collier, and Otto Penzler, moderated by Diane A.S. Stuckart; Promoting Your Book, with Lewis C. Haskell, Wayne Stinnett, and Nancy J. Cohen, moderated by Patrick Kindrick; Co-writing a Mystery, with Carl and Jane Bock, Susan Haskell, Charles Todd, and David Beckwith, moderated by Rick Ollerman; Writing Historical Mysteries, with Charles Todd, Robert Coburn, John Guerra, Alyssa Maxwell, and Diane A.S. Stuckart, moderated by Heather Graham; and a panel on Audio Books, including how readers audition, with Reef Perkins, Marjorie Sorrell Rockwell, Lewis C. Haskell, and Ross Pipkin, moderated by Mike Dennis. 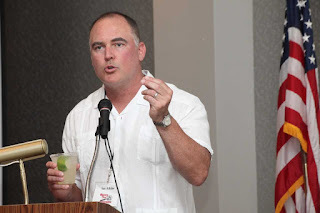 More Saturday highlights include luncheon with internationally renowned author Ace Atkins as Keynote Speaker, presentation of the Whodunit Mystery Writing Award, an author’s book-signing hour, a Conch Train mini-tour of Key West and a champagne social at the Key West Lighthouse, with speakers Ace Atkins and Otto Penzler. Sunday is for chilling along the waterfront with the Fest’s finale Bloody Mary Buffet Breakfast at the iconic Schooner Wharf Bar. 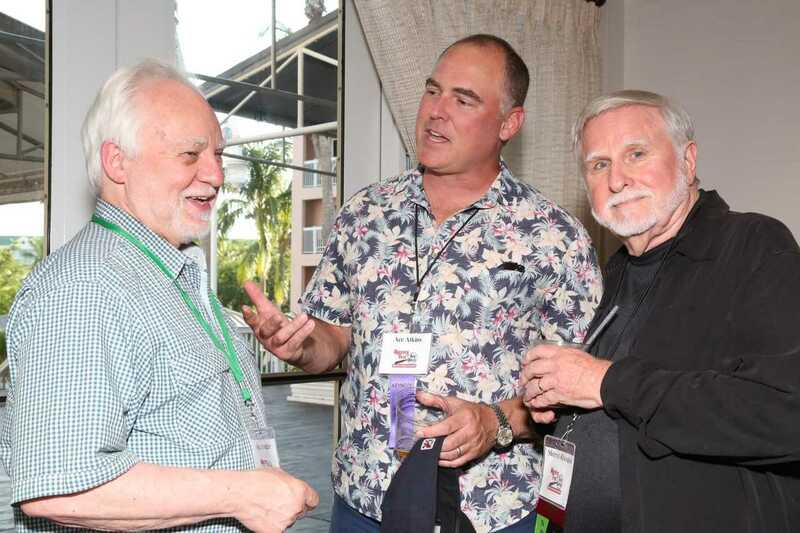 Mystery Fest Key West is sponsored by the Monroe County Tourist Development Council, the Key West Citizen daily newspaper, Mystery Writers of America – Florida Chapter, the Helmerich Foundation, and the Florida Keys Council of the Arts. Fest registration is $195 and includes all panels, presentations, luncheon and champagne social, or chose the Saturday only option for just $95.00. Those wishing to do bring a guest to the Keynote luncheon, champagne social or Sunday brunch can do so for only $35.00 additional per event. For registration and information visit mysteryfestkeywest.com. 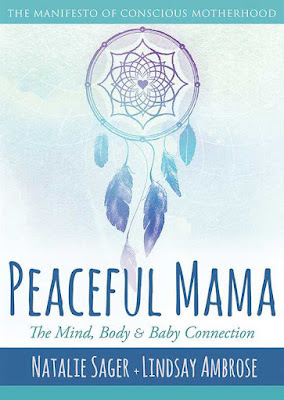 Peaceful Mama: The Manifesto of Conscious Motherhood—a book co-authored by Natalie Sager, a mother, holistic health teacher, and yogini residing in Boynton Beach and Lindsay Ambrose, with a foreword by Skye Dyer, a mother and singer/songwriter in Delray Beach—shares the tools every mother needs to improve her well-being and raise consciousness through a unique and practical framework called MAMAHH Moments (pronounced mom-ahhhhhh). 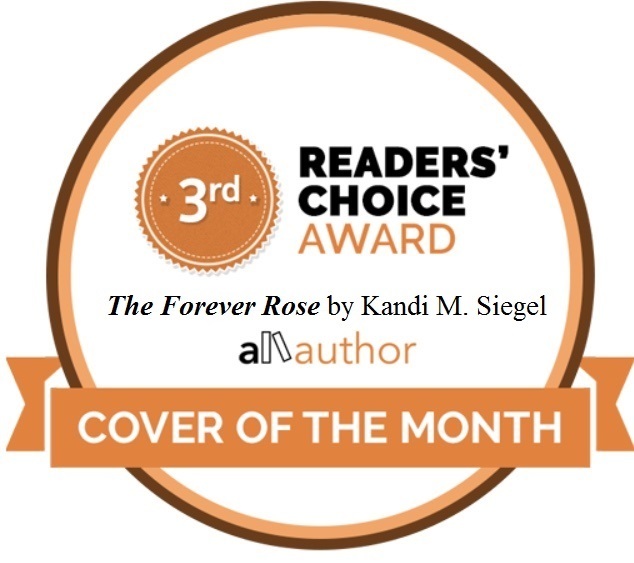 Ever since the book debuted as Amazon's #1 New Release in Pregnancy and Childbirth during the week of its Mother's Day 2018 launch, readers are discovering the massive benefits of taking moments throughout the day to become more centered and present in these six life-changing areas: Movement, Affirmations, Mindfulness, Abundance, Health and Heart. 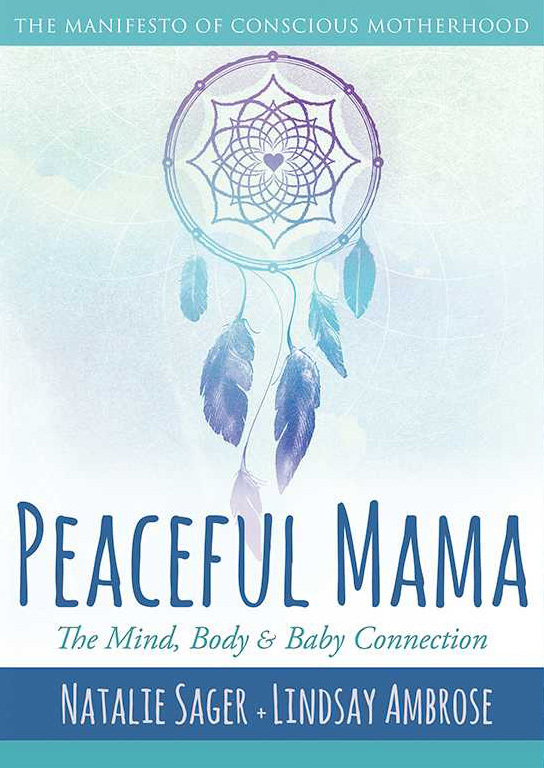 Grounded in the latest science and research, eight conversational chapters convey experiential wisdom and tools from the authors and 20 Peaceful Mama Experts, including midwives, doulas, naturopaths, nurses, coaches, psychologists, acupuncturists, homeopaths and fitness gurus who remind readers that peace begins within and Peaceful Mamas will change the world. Scott Stevens novel On Ice will be released on Amazon as a audio book on June 30th, 2018. “It’s certainly been a long time in the making,” said Stevens, who has made several appearances around Florida, including in the Tampa area at book signings. The book is narrated by Jeffery Hutchins. Through the promotion of both books, Stevens has put together an international following. In a few weeks, he will take part in a Meet the Author event based out of the UK. 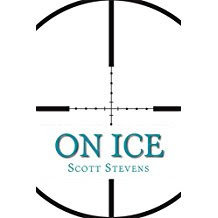 For more information about Scott Stevens, On Ice, Twister Town, or the On Ice audio book, just visit Scott’s website, or you can find him on Facebook or Twitter. St. Petersburg, FL—Author and inspirational speaker Ricky Roberts III has published his sixth inspirational book, Healing the Wounded Child Within. Roberts, who himself overcame a difficult childhood, has written five other books about conquering life's challenges. Healing the Wounded Child Within focuses on helping readers stop negative cycles that hold them back. “By healing wounds from your past, you can free yourself from distractions that prevent you from living the peaceful, productive, and fulfilling life you deserve,” says Roberts, who connects with thousands of youths and adults every year. “I wrote this book to help people come to terms with their past, and change their future.” Roberts had a transformation of his own at the age of seventeen, when he was stabbed nine times during an altercation. While recovering, he contemplated how to use the abuse and trauma he'd been exposed to in a productive way. Since then, he's made it his goal to help people from all walks of life, and he regularly meets with people in a variety of settings—from high schools and conferences to maximum-security prisons. He also founded the You Are Valued movement, to help everyone realize their self-worth. Healing the Wounded Child Within is available at your favorite online bookseller. The Bible and Politics, Weaving Biblical Principles into Politics by Walt Manning suggests that we stop shaping our faith by our politics and start molding our politics by our faith. Manning's book was release on June 7, 2018 and is available for $14.95 (e-Book = $3.99). In his seventeenth book, entitled, The Bible and Politics, author Walt Manning employs the use of humor as the delivery vehicle when approaching controversial issues encountered in the “art” of Washington politics. 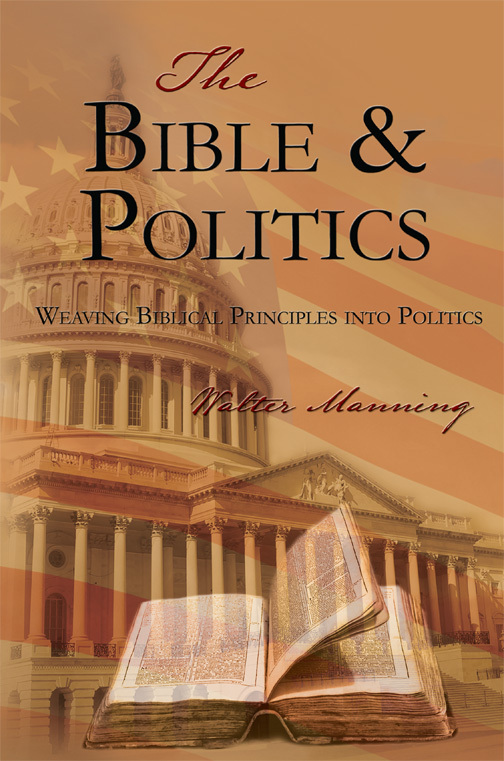 In his work, Walt challenges the reader by intertwining biblical principles with quotes from famous people, and in the process, champions the Bible as the "Gold Standard" that should be used in the political arena. Walter Manning is a Christian author of seventeen books. 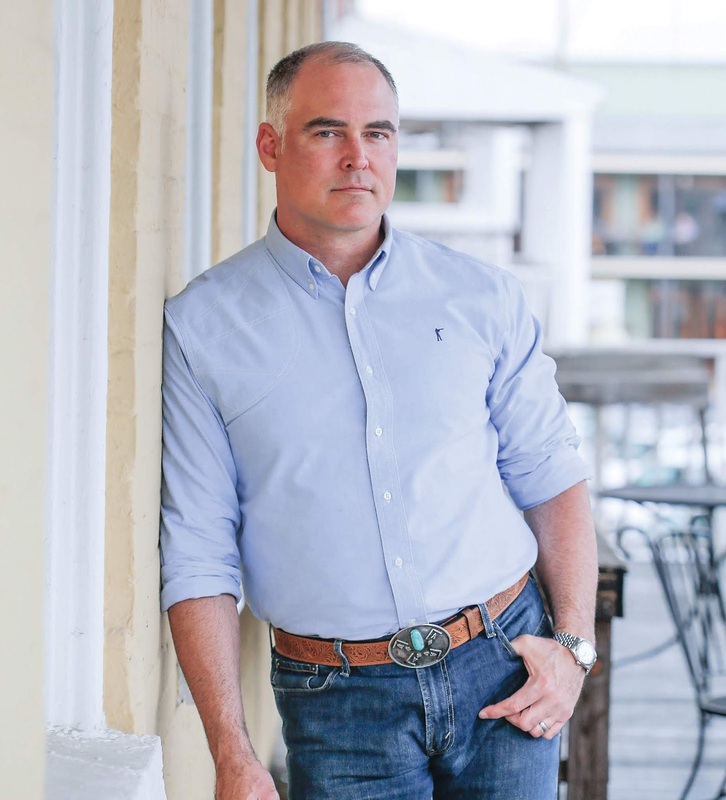 He served six years in the United States Air Force, and earned his B.S. & M.S. degrees in Electrical Engineering from the University of Houston, TX, where he graduated with high honors. His fifty-year career in the high-tech industry spanned engineering, marketing, sales, and program management. Walt retired in 2009, as a senior manager, to write and speak of his faith. Walt’s a member of the National Honor Society, National Engineering Honor Society, and the National Electrical Engineering Honor Society. He is a semi-pro baseball umpire, who also enjoys music, reading, writing, creativity, tinkering, and keeping current with world events, particularly as they pertain to biblical eschatology. Manning is married to Magdalene. They are non-denominational, Bible believing Christians, whose faith in Jesus Christ has, and continues to be, the cornerstone of their marriage. Manning is married and has two children: daughter, Elise Ruth and son, Christopher David. 2) Amazon at https://www.amazon.com/s/ref=nb_sb_noss_1?url=search-alias%3Dstripbooks&field-keywords=the+bible+and+politics Thirty reviews on Amazon score it a 4.9/5.0. Once we have a great story idea, we’re good for writing about 1/3 of the book before we run out of steam. We start again. Some of us have been starting again for years. We’ve got all these starts and very few finishes. What’s wrong? We have an idea but not a story. We’re going to learn how the Character-Wanted-However-Ongoing (CWHO) exercise helps us build an impressive story, one scene, or block, at a time. Christopher Hawke has a heart for teaching the craft of writing. 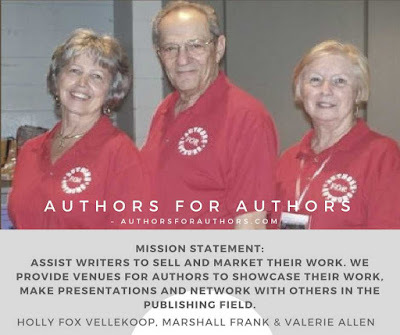 Whether with groups, through content editing, or one-on-one writing coaching, his business is helping authors cross the finish line. 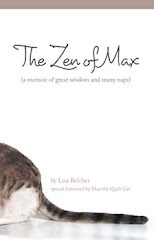 His client roster includes well-known names, as well as aspiring authors. 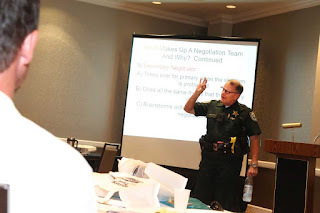 He has led a weekly critique group in South Florida for over 5 yearsand has a highly acclaimed video series and e-book the Craft of Writing available.